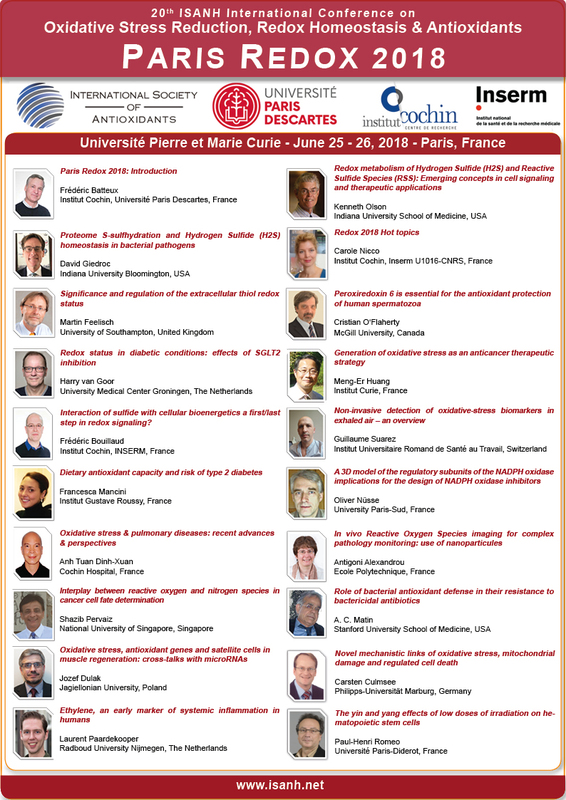 The scientific committee of Paris Redox 2019 is honoured to be welcoming Prof. Franz-Josef Meyer-Almes, from the University of Applied Sciences in Darmstadt, Germany, for the 21th International Conference on Oxidative Stress Reduction, Redox Homeostasis and Antioxidants, during which he will speak about how "HDAC8 is modulated by a redox-switch". According to Prof. Meyer-Almes: "Enzymes from the histone deacetylase (HDAC) family are highly regulated by different mechanisms. However, only very limited knowledge exists about the regulation of HDAC8, an established target in multiple types of cancer. In this talk I will present the discovery of a reversible redox-switch in HDAC8. Biochemical and biophysical data as well as first cell-based data are presented. These results are discussed in the light of the in-vivo relevance of this redox-switch in regulating HDAC8 function."